Kiffy Calls Me a Hippie: oh, the anticipation! 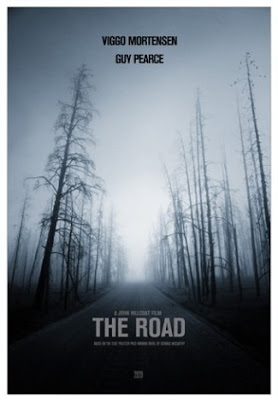 The Road by Cormac McCarthy is one of my favorite American novels and it comes highly recommended by yours truly. It tells the tale of a man and his young son in a post-apocalyptic world in which they attempt to survive. Among other things, it tells of the good and evil in people and the lingering presence of hope in even the worst of situations. I hope this film is faithful to the novel it's based on. Either way, I'll definitely be seeing this one when it finally comes out. Read The Road, tell me what you think, and then see the film, maybe. i've been trying to decide what book to read next and this one's on my list. i guess i'll start with it. by the way, congratulations on your acceptance to the graduate program!